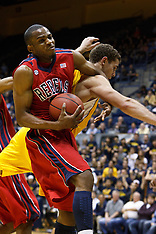 March 16, 2011; Berkeley, CA, USA; The California Golden Bears defeated the Mississippi Rebels 77-74 in the first round of the National Invitation Tournament at Haas Pavilion. 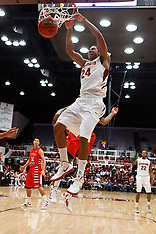 February 3, 2011; Stanford, CA, USA; The Arizona Wildcats defeated the Stanford Cardinal 78-69 at Maples Pavilion. 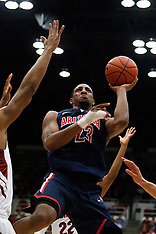 Arizona defeated Stanford 78-69. 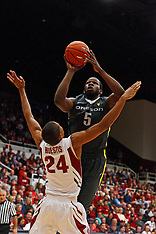 January 27, 2011; Stanford, CA, USA; The Oregon Ducks defeated the Stanford Cardinal 67-59 at Maples Pavilion. 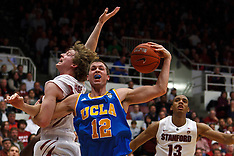 December 15, 2010; Stanford, CA, USA; The Stanford Cardinal defeated the North Carolina A&T Aggies 76-59 at Maples Pavilion. 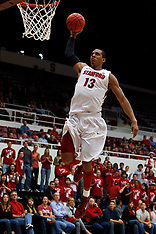 November 18, 2010; Stanford, CA, USA; The Stanford Cardinal defeated the Virginia Cavaliers 81-60 at Maples Pavilion. 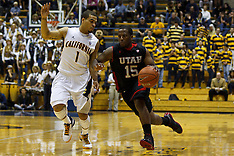 November 16, 2010; Berkeley, CA, USA; The California Golden Bears defeated the Cal State Northridge Matadors 80-63 at Haas Pavilion. 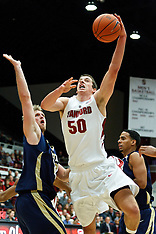 November 10, 2010; Stanford, CA, USA; The Stanford Cardinal defeated the Cal State Monterey Bay Otters 87-56 at Maples Pavilion. 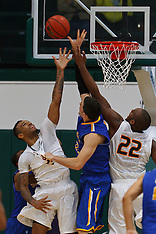 February 27, 2010; San Jose, CA, USA; The San Jose State Spartans defeated the Fresno State Bulldogs 72-45 in NCAA Basketball at The Event Center. 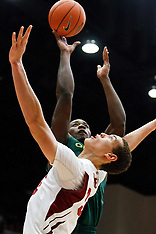 February 27, 2010; Berkeley, CA, USA; The California Golden Bears defeated the Arizona State Sun Devils 62-46 in NCAA Basketball at Haas Pavilion. 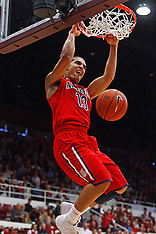 February 27, 2010; Stanford, CA, USA; The Arizona Wildcats defeated the Stanford Cardinal 71-69 in NCAA Basketball at Maples Pavilion. 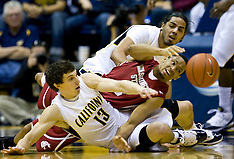 February 13, 2010; Berkeley, CA, USA; The California Golden Bears defeated the Washington State Cougars 86-70 in NCAA basketball at Haas Pavilion. 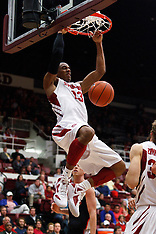 February 13, 2010; Stanford, CA, USA; The Washington Huskies defeated the Stanford Cardinal 78-61 in NCAA basketball at Maples Pavilion. 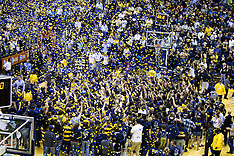 February 11, 2010; Berkeley, CA, USA; The California Golden Bears defeated the Washington Huskies 93-81 in NCAA Basketball at Haas Pavilion. 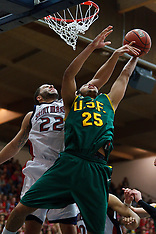 January 30, 2010; San Francisco, CA, USA; The San Francisco Dons defeated the Gonzaga Bulldogs in NCAA Basketball 81-77 in overtime at War Memorial Gym. 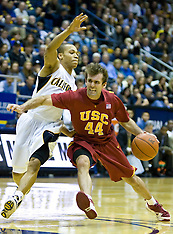 January 9, 2010; Berkeley, CA, USA; The California Golden Bears defeated the Southern California Trojans 67-59 in NCAA basketball at the Haas Pavilion. 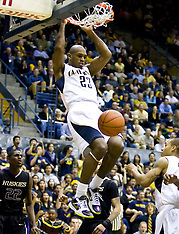 December 29, 2009; Berkeley, CA, USA; The California Golden Bears defeated the UC Santa Barbara Gauchos 87-66 in NCAA basketball at Haas Pavilion. 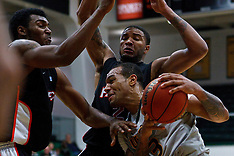 December 29, 2009; Berkeley, CA, USA; The Furman Paladins defeated the Utah Valley Wolverines 77-60 in NCAA basketball at Haas Pavilion. 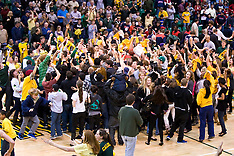 December 28, 2009; Berkeley, CA, USA; The California Golden Bears defeated the Utah Valley Wolverines 85-51 in NCAA basketball at the Haas Pavilion. 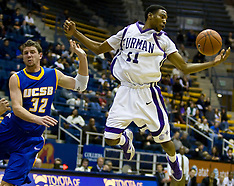 December 28, 2009; Berkeley, CA, USA; The UC Santa Barbara Gauchos defeated the Furman Paladins 72-60 in NCAA Basketball at the Haas Pavilion. 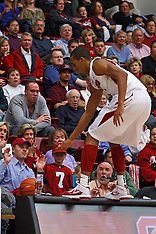 December 16, 2009; Stanford, CA, USA; The Oklahoma State Cowboys defeated the Stanford Cardinal 71-70 in NCAA basketball at Maples Pavilion. 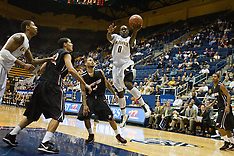 November 30, 2009; San Jose, CA, USA; The Saint Mary's Gaels defeated the San Jose State Spartans 78-71 in NCAA basketball at the Event Center Arena. 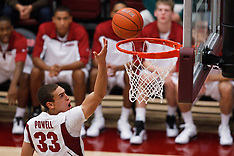 November 6, 2009; Stanford, CA, USA; The Stanford Cardinal defeated Sonoma State Seawolves during 82-61 in an NCAA basketball exhibition game at Maples Pavilion. 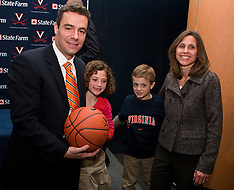 Tony Bennett was introduced at Virginia's new men's basketball coach at a press conference held at the John Paul Jones Arena in Charlottesville, VA on April 1, 2009. 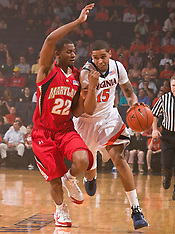 The Virginia Cavaliers defeated the Maryland Terrapins 68-63 in NCAA Basketball at the John Paul Jones Arena on the Grounds of the University of Virginia in Charlottesville, VA on March 7, 2009. The #13 ranked Wake Forest Demon Deacons defeated the Virginia Cavaliers 70-60 at the John Paul Jones Arena on the Grounds of the University of Virginia in Charlottesville, VA on February 28, 2009. The Miami Hurricanes defeated the Virginia Cavaliers 62-55 in NCAA Basketball at the John Paul Jones Arena in Charlottesville, VA on February 26, 2009. The Virginia Cavaliers defeated the Virginia Tech Hokies 75-61 in NCAA Basketball at the John Paul Jones Arena on the Grounds of the University of Virginia in Charlottesville, VA on February 18, 2009. The Virginia Cavaliers defeated the #12 Clemson Tigers 85-81 in overtime at the John Paul Jones Arena on the Grounds of the University of Virginia in Charlottesville, VA on February 15, 2009. 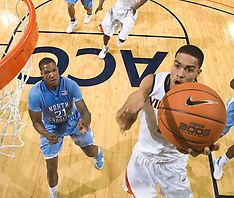 The the #5 ranked North Carolina Tar Heels defeated the Virginia Cavaliers 83-61 in NCAA Basketball at the John Paul Jones Arena on the Grounds of the University of Virginia in Charlottesville, VA on January 15, 2009. 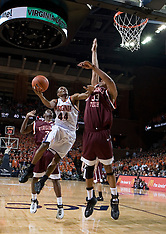 The Virginia Cavaliers defeated the Brown Bears 74-50 in NCAA Men's Basketball at the John Paul Jones Arena on the Grounds of the University of Virginia in Charlottesville, VA on January 6, 2009. 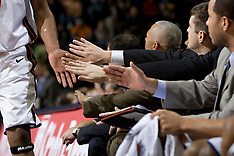 The #22 ranked Xavier Musketeers defeated the Virginia Cavaliers 84-70 in NCAA Men's Basketball at the John Paul Jones Arena on the Grounds of the University of Virginia in Charlottesville, VA on January 3, 2009. 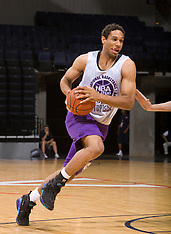 Photographs from the 2008 NBPA Top 100 Camp held in Charlottesville, VA at the University of Virginia's John Paul Jones Arena from June 18-21, 2008. 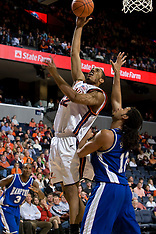 The Virginia Cavaliers defeated the Hampton Pirates 74-48 at the John Paul Jones Arena on the Grounds of the University of Virginia in Charlottesville, VA on December 23, 2008. 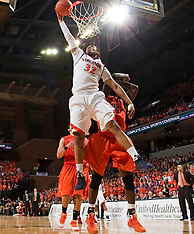 The Auburn Tigers defeated the Virginia Cavaliers 58-56 in NCAA Men's Basketball at the John Paul Jones Arena on the Grounds of the University of Virginia in Charlottesville, VA on December 20, 2008. 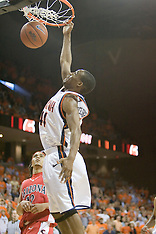 The Liberty Flames defeated the Virginia Cavaliers 86-82 in NCAA Division 1 Basketball at the John Paul Jones Arena on the Grounds of the University of Virginia in Charlottesville, VA on November 25, 2008. 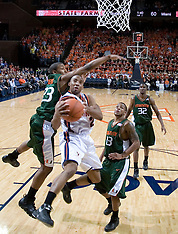 The Virginia Cavaliers defeated the South Florida Bulls 77-75 at the University of Virginia's John Paul Jones Arena in Charlottesville, VA on November 19, 2008. 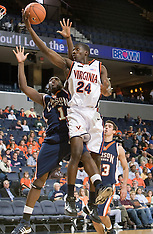 The Virginia Cavaliers defeated the VMI Keydets 107-97 in NCAA Basketball at the John Paul Jones Arena on the Grounds of the University of Virginia in Charlottesville, VA on November 16, 2008. 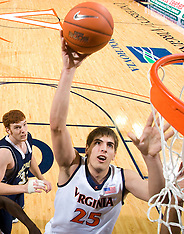 The Virginia Cavaliers defeated the Shepherd Rams 87-52 in an NCAA Men's Basketball exhibition game at the John Paul Jones Arena on the Grounds of the University of Virginia in Charlottesville, VA on November 9, 2008. 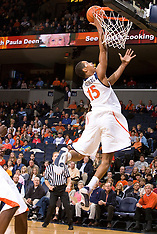 The Bradley Braves defeated the Virginia Cavaliers 96-85 in the semifinals of the College Basketball Invitational (CBI) at the University of Virginia's John Paul Jones Arena in Charlottesville, VA on March 26, 2008. 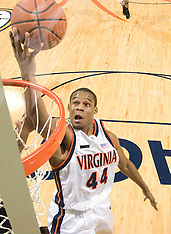 The Virginia Cavaliers defeated the Old Dominion Monarchs 80-76 in the second round of the College Basketball Invitational (CBI) at the University of Virginia's John Paul Jones Arena in Charlottesville, VA on March 24, 2008. 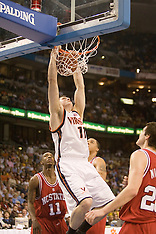 The Virginia Cavaliers defeated the Richmond Spiders 66-64 in the first round of the College Basketball Invitational (CBI) tournament at the University of Virginia's John Paul Jones Arena in Charlottesville, VA on March 18, 2008. 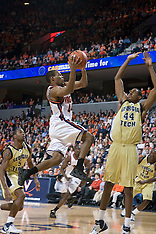 The Georgia Tech Yellow Jackets defeated the Virginia Cavaliers 94-76 in the first round of the 2008 ACC Men's Basketball Tournament at the Charlotte Bobcats Arena in Charlotte, NC on March 13, 2008. 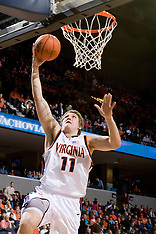 The Virginia Cavaliers defeated the Maryland Terrapins 91-76 at the University of Virginia's John Paul Jones Arena in Charlottesville, VA on March 9, 2008. 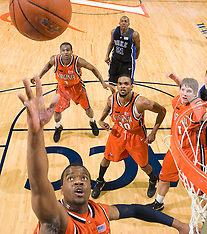 The #6 ranked Duke Blue Devils defeated the Virginia Cavaliers 86-70 at the University of Virginia's John Paul Jones Arena in Charlottesville, VA on March 5, 2008. 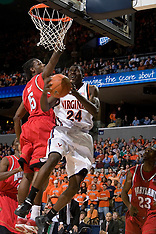 The Virginia Cavaliers defeated the North Carolina State Wolfpack 78-60 at the University of Virginia's John Paul Jones Arena in Charlottesville, VA on February 24, 2008. The #5 North Carolina Tar Heels defeated the Virginia Cavaliers 75-74 at the John Paul Jones Arena in Charlottesville, VA on February 12, 2008. 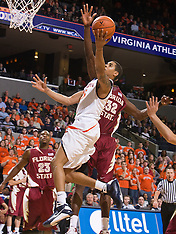 The Clemson Tigers defeated the Virginia Cavaliers 82-51 at the John Paul Jones Arena in Charlottesville, VA on February 7, 2008. 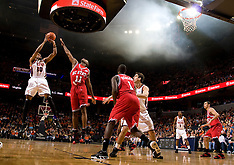 The Virginia Cavaliers fell to the Maryland Terrapins 85-75 at the Comcast Center in College Park, Maryland on January 30, 2008. 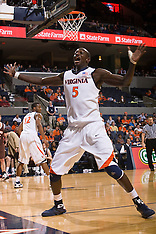 The Virginia Cavaliers defeated the Boston College Golden Eagles 84-66 at the John Paul Jones Arena in Charlottesville, VA on January 19, 2008. 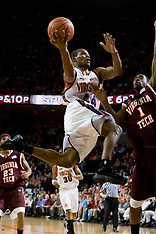 The Virginia Cavaliers fell to the Virginia Tech Hokies 69-68 in overtime at the John Paul Jones Arena in Charlottesville, VA on Janury 16, 2008. 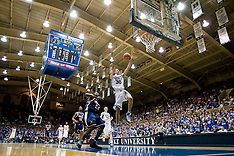 The Duke Blue Devils defeated the Virginia Cavaliers 87-65 at Cameron Indoor Stadium on the campus of Duke University in Durham, NC on January 13, 2008. 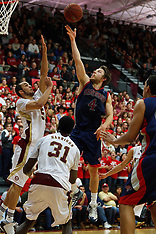 The Virginia Cavaliers defeated the Elon Phoenix 91-61 at the John Paul Jones Arena in Charlottesville, VA on December 22, 2007. 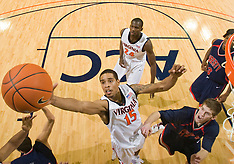 The Virginia Cavaliers defeated the Hampton Pirates 79-65 at the John Paul Jones Arena in Charlottesville, VA on December 19, 2007. 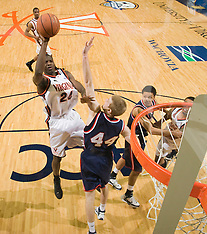 The Virginia Cavaliers defeated the Northwestern Wildcats 94-52 at the John Paul Jones Arena in Charlottesville, VA on November 27, 2007. 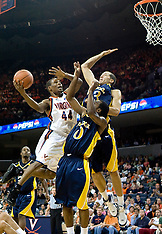 The #23 Virginia Cavaliers defeated the Drexel Dragons 72-58 at John Paul Jones Arena in Charlottesville, VA on November 20, 2007. 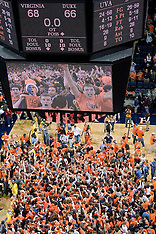 The Virginia Cavaliers defeated the Howard Bison 92-53 at John Paul Jones Arena in Charlottesville, VA on November 14, 2007. 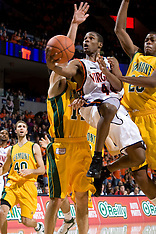 The Virginia Cavaliers defeated the Vermont Catamounts 90-72 at the John Paul Jones Arena in Charlottesville, VA on November 11, 2007. 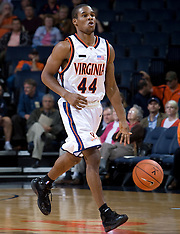 The Virginia Cavaliers men's basketball team defeated the Carson-Newman Eagles 124-65 in an exhibition basketball game at the John Paul Jones Arena in Charlottesville, VA on November 4, 2007. 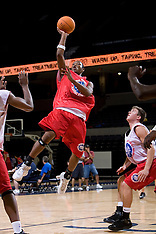 The NBA Player's Association Top 100 camp was held in at the University of Virginia's John Paul Jones Arena from June 20-22, 2007 in Charlottesville, VA. 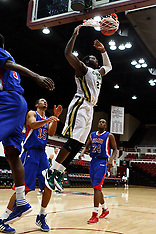 The camp was attended by the top high school basketball prospects in the US. 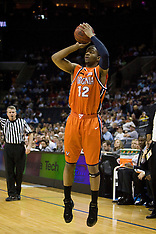 The #4 seed Virginia Cavaliers fell to the #5 seed Tennessee Volunteers 77-74 in the second round of the Men's NCAA Tournament held at the Nationwide Arena in Columbus, OH on March 18, 2007. 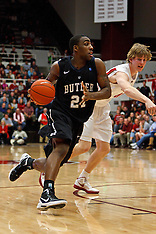 The #4 seed Southern Illinois Salukis defeated the #5 seed Virginia Tech Hokies 63-48 in the second round of the Men's NCAA Tournament held at the Nationwide Arena in Columbus, OH on March 18, 2007. The #5 seed Virginia Tech Hokies defeated the #12 seed Illinois Fighting Illini 54-52 at Nationwide Arena in Columbus, OH on March 16, 2007. 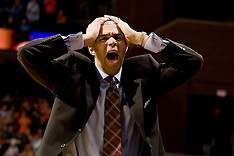 The Tennessee Volunteers deafeated the Long Beach State 49ers 121-86 in the first round of the Men's NCAA Tournament in Columbus, OH on March 16, 2007. 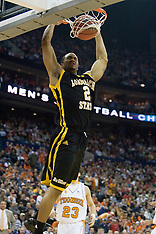 The #4 seeded Virginia Cavaliers defeated the #13 seed Albany Great Danes, 84-57 at The Nationwide Arena in Columbus, OH on March 16, 2007 during the first round of the men's NCAA Basketball Tournament. The #4 seed Southern Illinois University Salukis defeated the #13 seed Holy Cross Crusaders 61-51 at the Nationwide Arena in Columbus, OH on March 16, 2007. 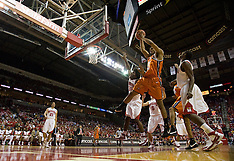 The #10 seed North Carolina State Wolfpack defeated the #2 seed Virginia Cavaliers 76-71 at the quarterfinal round of the 54th ACC Tournament at the St. Pete's Times Forum in Tampa, FL on March 9, 2007. 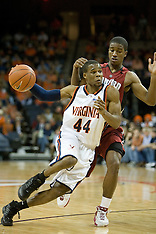 The Virginia Cavaliers defeated the Virginia Tech Hokies 69-56 at the John Paul Jones Arena in Charlottesville, VA on March 1, 2007. The #19/#24 Virginia Cavaliers defeated the Georgia Tech Yellow Jackets 75-69 at the John Paul Jones Arena in Charlottesville, VA on February 24, 2007. 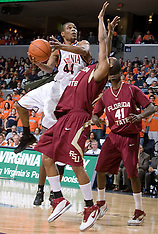 The University of Virginia Cavaliers defeated the Florida State Seminoles 73-70 on February 17, 2007 at the John Paul Jones Arena in Charlottesville, VA.
UVA defeated Longwood 90-49 at the on February 13, 2007 at the John Paul Jones Arena in Charlottesville, VA to improve to 17-7 on the season. 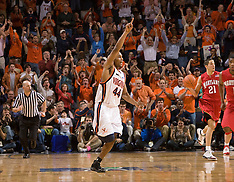 The Virginia Cavaliers defeated the Miami Hurricanes 81-70 to move into a tie for first place in the ACC on February 3, 2007 at the John Paul Jones Arena in Charlottesville, VA.
UVA defeated Duke 68-66 in overtime on a last second fade away shot from Sean Singletary in front of a sold out crowd of 15,219 at the John Paul Jones Arena in Charlottesville, VA on February 1, 2007.